Discover how your past has prepared you for a beautiful future. 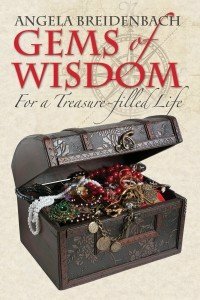 You'll embark on a treasure hunt for unique gems of wisdom that will help you let go of past pain in spite of emotional pirates and negative people. You'll learn how to have grace under pressure in tough situations, face fears, and how to use your experiences to positively influence others. Join the treasure hunt through the stories and experiences of other women who've overcome difficult pasts, being victimized, and helplessness. Collect the beautiful gems of wisdom God created and wants you to discover. Excellent for group or private Bible study and book clubs. Bonus companion journal included.The first book in the new Grace Under Pressure Radio series helps you become a woman of courage, confidence, and candor. Gems of Wisdom: The Treasure of Experience is a Dove Foundation Award Recipient. This book has been rated Faith-friendly by The Dove Foundation. Discover how your past has prepared you for a beautiful future. You’ll embark on a treasure hunt for unique gems of wisdom that will help you let go of past pain in spite of emotional pirates and negative people. You’ll learn how to have grace under pressure in tough situations, face fears, and how to use your experiences to positively influence others. Join the treasure hunt through the stories and experiences of other women who’ve overcome difficult pasts, being victimized, and helplessness. Collect the beautiful gems of wisdom God created to give you a treasure of experience for yourself and to act, by His design, to help others. 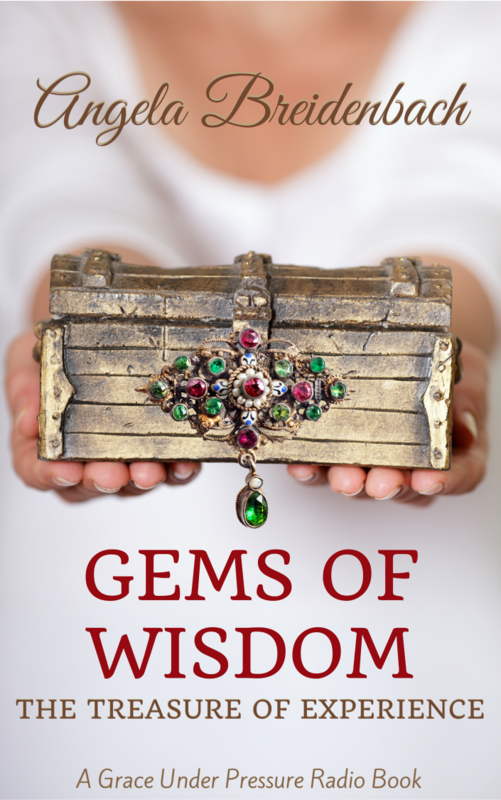 Gems of Wisdom: The Treasure of Experience is excellent for group or private Bible study and book clubs. 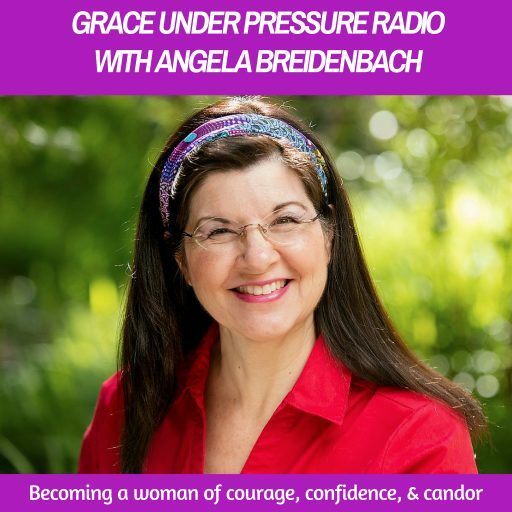 Bonus companion journal included.The first book in the new Grace Under Pressure Radio series helps you become a woman of courage, confidence, and candor. **Award recipient of The Dove Foundation’s Faith-friendly Dove Seal of Approval. All the books in this series will be about learning these skills and putting them into practice. 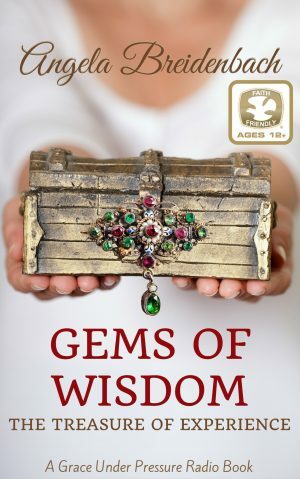 This popular women’s study, Gems of Wisdom: For a treasure-filled life (paperback book), is revised and being released for the first time in both paperback and ebook! When I read this proverb, I immediately thought of Angela Breidenbach’s Gems of Wisdom. This book is filled with good advice and information to help people overcome obstacles they face in their life. When I read Gems of Wisdom, I particularly loved the positive advice with the emphasis on setting goals, journaling, and taking small steps toward changing your life. She covers all the positive attitudes we need to counter the negatives one that we can be bombarded with day in and out. This can be done through education and knowledge, both of which lead to wisdom. Living can be hard, filled with many trials and tribulations, but Gems of Wisdom gives you concrete ways to get a handle on those problems, so you can live your life to the fullest. I cried when reading this, but mostly I walked away with tools to use to solve issues I had been wrestling with. I was able to fight those pirates that wanted to rob me of peace. Reading Gems of Wisdom will enrich your life. You will find a treasure trove of gems that will equip you to make sound decisions. There is no place for negativity. Embrace life and savor the words to come.